There were so many promising adventure (and adventure-like) games on display in Cologne this year, the only way to get through them all was for TWO sites to join forces over THREE different round-ups. 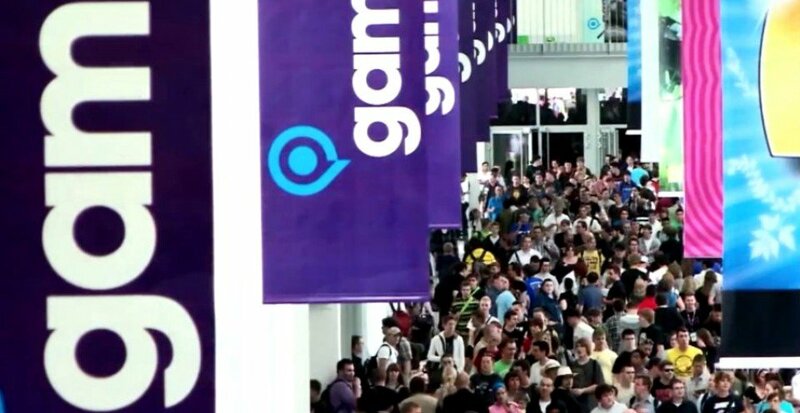 Once again, following the first part and middle installment of our gamescom trifecta, we turn the stage over to Adventure Corner to seal the deal. 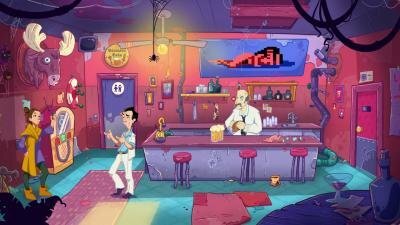 With Leisure Suit Larry: Wet Dreams Don't Dry, German developer Crazy Bunch transports Larry Laffer, the main character of Sierra's classic adventure game series, to the present day. It's not a sequel of any sort, and prior knowledge of the LSL series is not required. But experience with the series won't hurt as there are some familiar faces and places: right at the start, we visit Lefty's Bar. Also, Larry's character hasn't changed much. He's still doing anything and everything to get a date with women, which usually puts this unlucky fellow into awkward situations. During conversations and observations, he still loves sexual innuendoes, and there will be a lot of jokes as you would expect from this franchise. In this 2D point-and-click adventure game, the protagonist wakes up in the world of today, not having aged one bit. There won't be an explanation of why he ends up in modern times because this is not relevant to the story. Unsurprisingly, it doesn't take long before he falls in love with a woman who has zero interest in him. His only chance to convince her is to gain an incredible amount of points on a dating app. Coming from the nineties, Larry doesn't know how things work these days. He accepts the challenge, not realizing that it's going to be almost impossible to succeed. In his quest for love, Larry gets a smartphone and there are several in-game apps like Instacrap and Timber. New dates will unlock there too. Keep in mind that this is not so much a story about dating as it is about the social media generation. Author Falko Löffler has filled the game with many jokes that are meant to be a satire on this topic. The world of Wet Dreams Don't Dry is full of exaggerated personalities who are only interested in things like views, clicks and their image on social media. Interestingly, Al Lowe was not at all involved in this project despite being the intellectual father of this series. Crazy Bunch simply wanted to do their own thing. The plan is for classic point-and-click gameplay with lots of dialogues and puzzles. There will be 170 items in this game, and objects can be combined in inventory. With around ten hours of playtime, it's probably going to be among the longer adventures these days. Wet Dreams Don't Dry comes with more than 30 hand-painted screens in 4K resolution. Like the humorous script, the environment is full of sexual innuendo. Buildings looking like phallic symbols are just one example. The developers also mentioned why Larry Laffer looks different compared to the original series: they wanted to make him look more like the other characters. The result is a distinct 2D comic style with nice backgrounds, but a Larry that might seem strange at first. Leisure Suit Larry: Wet Dreams Don't Dry has English and German voice-overs and will be released on November 7th for Windows and Mac. Onat Hekimoglu from Slow Bros. talked with us about the narrative exploration game Harold Halibut. We also had the opportunity to play the demo. The backstory of this game starts in the 1970s. Afraid the world might come to an end, a spaceship takes off to reach the next habitable planet and save human civilization. Two hundred years later it arrives, but not quite as planned, as the ship ends up stuck underwater. From that point on, the crew has been trying to find a way out. Harold's adventure starts 50 years later. The main story is linear, with just one ending, but there will be optional stuff to do, like side-quests and other activities. On the ship, each character has their own agenda, one that is sometimes kept secret. This does not appear to be the type of game where you worry a lot about your choices, but people can behave differently depending on how Harold treats them. Exploration and interactions with others are at the core of the gameplay, but talking is not all you do. In general, there won't be puzzles in the traditional sense, but there will be machines to operate and a lot to interact with. Examining samples in the laboratory is something you learn at the start of the game. Tasks like this show the protagonist's daily routine as an assistant in the lab. Harold can also visit the arcade and play mini-games. A huge part of the spaceship is accessible early on in Harold Halibut. As for the restricted areas, there are usually plausible explanations. For example, if a shop is closed, it's not the right time of day. Despite the open game design, the developer would not describe it as an open world adventure, especially since there are no natural day/night cycles. Time does progress but that change is triggered by the story. The intention behind that decision is to ensure the player doesn't have to keep waiting. 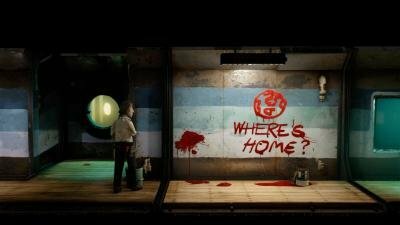 The game's distinct visual style is made with the stop-motion technique. More than 80 backgrounds and over 30 clay characters have been hand-crafted. Everywhere in the game, it is possible to zoom in and relish the modeling. Taking a close look is really worth it, as the level of detail amazed us: none of the objects or backgrounds feels unimportant. Interestingly, the architecture of the spaceship, including its interior, was heavily inspired by the designs of the avant-garde architectural group Archigram. Other than that, Wes Anderson's movie The Life Aquatic with Steve Zissou influenced the feel of the underwater world, and games like BioShock and Night in the Woods had some impact too. According to Hekimoglu, last year's failed Kickstarter ended up being very positive for the German studio. The campaign created a lot of awareness and several publishers showed interest because of it, which gave them a choice of options. Thanks to Curve Digital, they are now able to focus on the development without worrying about finances and PR work. There's no release date so far, but Harold Halibut is aiming for launch next year on Windows PC, PS4 and Xbox One. It will be fully voiced in English. Valiant Game Studio is currently working on Pendula Swing, a story about the legendary female dwarf Brialynne on her quest to retrieve a very important axe which was stolen from her. For a long time, she lived in peaceful seclusion. However, all clues lead to the next big city, where she will have to socialize to catch the thief. Everything in this place seems strange to her, and social conflicts between orcs, elves, dwarfs, and humans are apparent. While there is no real combat, Pendula Swing has some RPG inspirations, such as the inventory management. After clicking on a drawer, we see the protagonist's inventory and the drawer's inventory. You can then move objects from one inventory to another, which also means that it is possible to store stuff someplace else once the inventory is full. The isometric visual style also resembles RPGs or games like Little Big Adventure. Aside from things like these, this game works pretty much like you'd expect from a point-and-click adventure. Some of the challenges allow for more than one solution, and most puzzles depend on how you interact with the people in this world. The game comes with lots of dialogues (which can lead to a character not wanting to talk to you anymore), but don't expect any voice-overs. There's a lot of text to read with plenty of creative ideas, only sometimes it can get a bit circumlocutory. 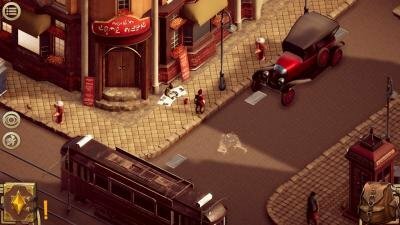 The first two episodes of this humorous fantasy version of the Roaring Twenties are already out on Steam (Windows and Mac) and the first installment is free to play, which is why we mostly talked with the Swedish developers about their future plans. Five episodes are still to come, and if everything goes according to plan, episode three could be ready sometime in November. After that, the team hopes to release at shorter one-month intervals. We'll see how that goes, but the small indie studio certainly looks dedicated and is releasing new patches on a frequent basis to get over a few technical issues encountered in the early days after the debut release. Detective Di: The Silk Rose Murders is a point-and-click adventure game from Nupixo Games. Back in 2015, the Canadian studio succeeded with a Kickstarter campaign to raise a relatively small amount of money. Now the pixel art game looks like it's close to being finished. We take on the role of Di Renji, who is kind of like the Sherlock Holmes of China in the 7th century. In the middle of political turmoil, Empress Wu Zetian ascends to the throne. Unsurprisingly, not everyone in the Middle Kingdom approves of her, and a brutal series of murders soon creates fear among her followers. It is our job to investigate these crimes, but even for Di Renji, it takes time to accept the new ruler. In Detective Di, we need to solve several cases and a lot of what happens is based on real events in history. Overall, the gameplay is pretty standard for detective games: search for clues, talk to witnesses and suspects, and look for evidence. There is also an inventory where combining objects is possible. Once enough evidence is found, a special mechanic comes into play where we deduce and reenact the crime scene to test our theories. As far as we know, it's not going to be possible to fail. 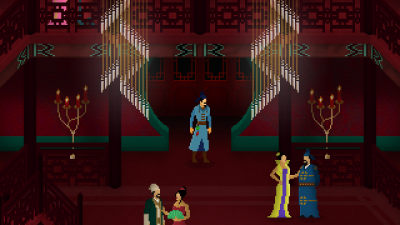 The pixel art 2D graphics remind us of the late 1980s and will not please everyone. And some objects can be tricky to see because of the visual style. Nonetheless, Detective Di does a good job letting the player experience a different time and culture. Already in the first case, we found a lot to explore, and it was fun doing so. The game will be translated into English, French, and Chinese, but without voice-overs. There is no official release date yet, but Detective Di could be ready this year on Windows PC and Mac.